Before headlines were captured by the Bastille Day attack in Nice, France, another major news item was dominating social media: that presumptive GOP nominee Donald Trump almost announced Indiana Governor Mike Pence as his running mate. As people begin to vet Pence for his beliefs and experience, especially in light of recent events, many are curious to know what is Pence's stance on Black Lives Matter? Depending on your viewpoint, it's either unfortunate or positive that Gov. Pence hasn't said much about the Black Lives Matter movement. Unfortunate in that there's no way to know his true feelings on BLM, but positive in that he hasn't publicly spoken out in bigotry or jumped to conclusions like his running mate. What he has said publicly paints him as fairly even-minded when it comes to the controversial movement aimed at ending racist police brutality. While he called the shootings of police officers in Dallas last week a "horrific ambush," he didn't blame Black Lives Matter for the shooting, which in 2016, makes him the Republican equivalent of the Dalai Lama. Pence went on to say that his heart goes out to the two men who lost their lives at the hands of police before the Dallas shootings as well, though he didn't mention their names. Although Pence hasn't proven himself to be racist (or at least anti-BLM), he has proven to be one of the most stridently anti-LGBT politicians in America. In March 2015, a year before North Carolina passed their controversial "bathroom bill" that disallowed transgender people from using the bathrooms that correspond to their true genders, Pence signed a "religious freedom" bill that allowed businesses to deny service to LGBT patrons based on their beliefs. 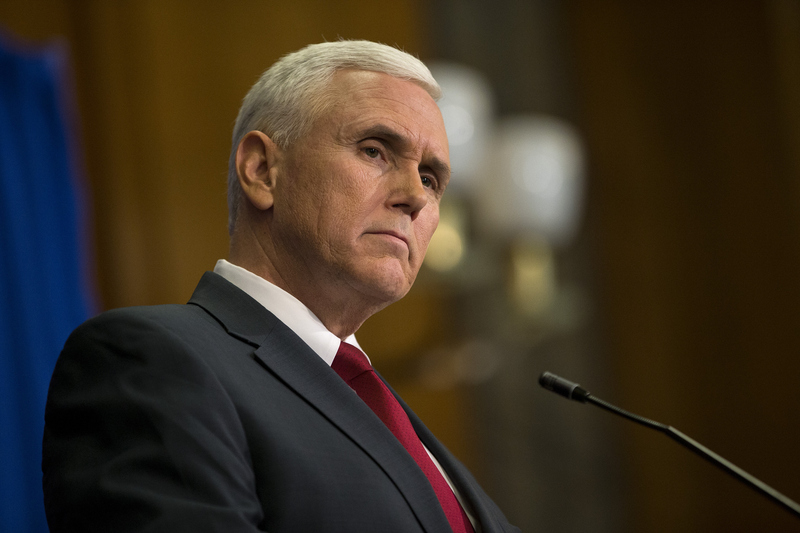 Pence also reportedly had a history of anti-LGBT legislation prior to the religious freedom bill, which earned him censure from the Indianapolis-headquartered NCAA. Despite Pence's stance on LGBT issues, the governor has been fairly level-headed when it comes to the Black Lives Matter movement. However, we need a strong vice president who will talk about this organization and work with them, so Pence's silence might not be a good thing after all.